While the British have long been known for their love of online gambling, Spaniards have never been considered to be a major gambling nation. However, recent figures indicate that the situation is changing fast with regards to the Spanish online casino business. This is making the gambling industry take notice of the Mediterranean country. The Spanish online casino business has been growing at a steady pace, indicating that the market is extremely buoyant. According to the country’s gambling regulator, there has been a 22.6% increase in Q2 revenues over the corresponding period in 2016. The Dirección General de Ordenación del Juego (DGOJ) reported a total of €121.3 million for Q2 2017. Figures previously released by the DGOJ also show that while online gambling has been growing steadily when compared to the previous year, it has slowed slightly in the first three months of 2017. Total revenues for Q1 were slightly higher at €122.7 million. Globally, online gambling revenues for the first three months of 2017 have been slightly higher than for the following three months. Online sports betting pulled in a total of €60.1million in revenues during Q1 2017. While this represented a 15% drop when compared to Q1’s earnings, it was nevertheless a substantial increase of 12.3% when compared to last year’s first quarter. The Spanish are famously passionate about football, and this reflects in the number and size of wagers placed on this sport. Tennis is also popular amongst Spanish sports bettors. Q2 revenues from online casino games have shown a tremendous increase of 52.5% when compared to the same period in 2016. While this is indeed very impressive, the lion’s share of the credit should go to slots games. Slots generated €21.5 million in revenues for the same period, an astounding rise of 84% versus the same period last year. Poker was also very popular in Spain this quarter, bringing in revenues of €14.4 million, a 5% increase year on year. Live Roulette accounted for a tidy €9.5 million in revenues, indicating that this vertical is also beginning to be popular in Spain. Blackjack grew 10.2% over the previous year to touch approximately €5 million. 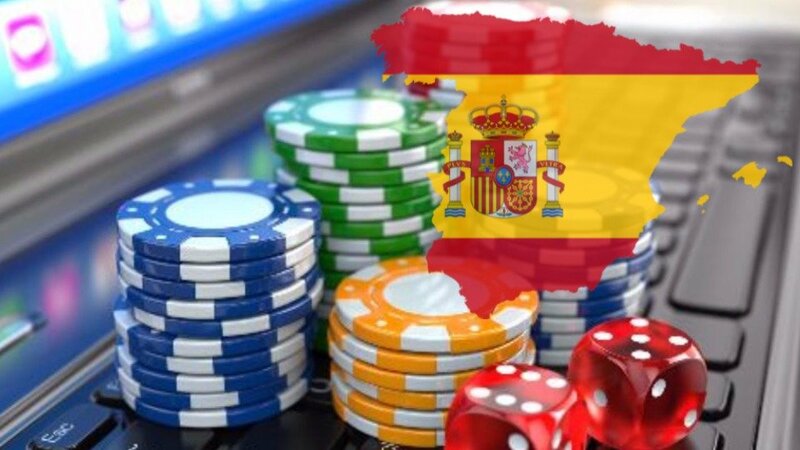 One of the biggest reasons for the increase in online gambling revenues in the Spanish market is very simply that Spaniards are getting the hang of gambling on the internet and many of them choosing it over other forms of entertainment. More than 645,000 Spaniards played at online casinos during the quarter. This was an increase of 7% against the same period the previous year. Interestingly, this remarkable growth came without too much effort from operators. In fact, they spent 16% less money on marketing and advertising their websites during the same period. The total revenue of €121.3 million was achieved after a spend of just €25 million on marketing. During the same period, they also reduced bonus offers by 14% to give away a maximum €21.2 million. The dramatic increase in Spain’s online gambling is very interesting given that the country is going through an economic downturn. The country is facing very high unemployment. Many of its citizens are moving to other parts of Europe and also the world in order to seek employment. There is plenty of room for the Spanish online casino industry to grow. This is because the market is nowhere near saturation at this point. 2016 also showed an increase over 2015, with online casinos getting 17.5% more players than the previous year. Needless to say, this will attract more operators bringing in additional products. This will give the Spaniards plenty of options when it comes to online gambling.